CEOs from 32 of the country’s leading energy and utilities employers have signed up to an industry-wide commitment to attract more diverse and inclusive talent. Amey, Balfour Beatty, Clancy Docwra, Keltbray, Kier and Morrison Utilities are among the contractors signing up to the utility sector agreement. At present 83% of the sector’s workforce are male, compared to 47% for all sectors nationally. 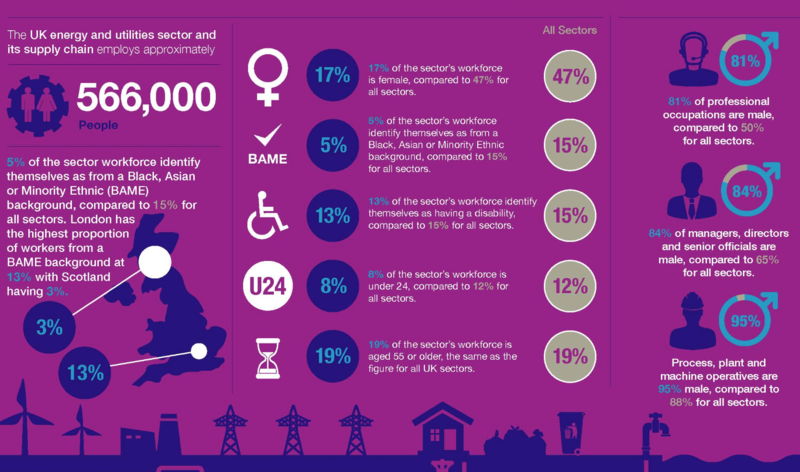 Women, people with disabilities, the BAME community and under 24s have traditionally been under-represented in the energy and utilities sector, compared to national averages. To tackle this challenge, and to build a resilient workforce for the future, 32 leading employers, including the industry’s regulated clients, have committed to drive change and work collaboratively to attract, recruit and retain a more diverse talent to the sector. Employing around 566,000 people across the UK, the sector will need over 220,000 new recruits to fill its expected skills gap by 2027. Nearly half the projects in the Government’s 600 major project pipeline are assigned to electricity, gas, water and sewerage, and waste, making the energy and utilities sector the largest single contributor to government’s UK infrastructure strategy. The new agreement is underpinned by five principles that commit to working collaboratively and sharing best practice, while creating an inclusive culture that enables firms to attract, recruit and develop people in a way where progress can be measured and transparent. 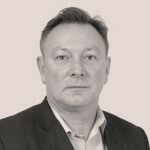 Nick Ellins, chief executive of the Energy & Utility Skills Group, which is coordinating the drive, said: “The UK’s utilities and their contractors have set out their ambition to enhance the diversity of their workforces and be ever more inclusive. David McLoughlin, Managing Director of Utilities at Amey, said: “Ensuring Amey is an attractive and inclusive place to work is really important to us. We were the first company in our sector to achieve Leaders in Diversity status for our work in this area, however we know there is still more we can do.